Are you looking for mobile home improvements ideas? That’s great! You’ve come to the right place for that. 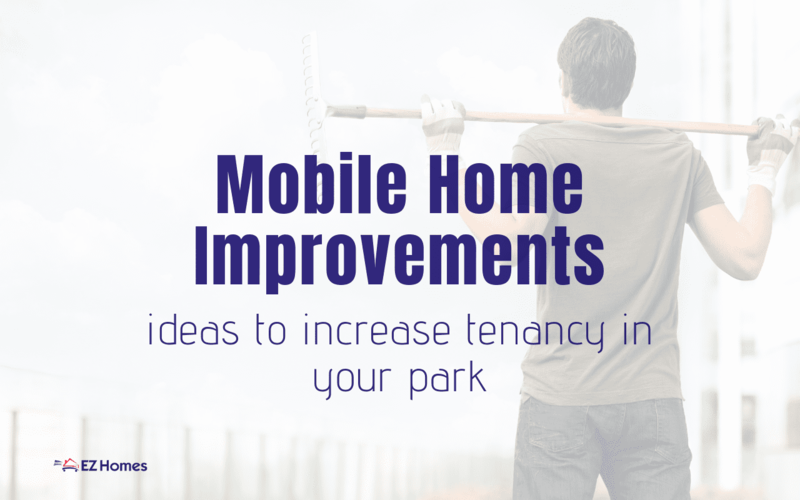 Improving your mobile home is an excellent way to help increase tenancy in your park. After you check out some of our ideas, we hope to see you well on your way to improving the homes in your park. As you implement some of these mobile home improvements ideas, you’ll see a noted difference in your park’s overall aesthetic. To begin our list of mobile home improvements ideas, let’s start with paint. Yes, paint. Grab your paintbrushes and the paint for your mobile home interior walls. There’s nothing quite like a fresh coat of paint to freshen up a place. Give it a go and see what a difference something so simple makes. Dirt, fingerprints, and other grime can dull your walls. A fresh coat of paint brings your walls back to life. While you’re at it, get your hands on some paint for your exterior doors. That will certainly help your mobile homes make a good first impression on potential tenants. It’ll be the first thing they come in contact with as they tour your mobile home. 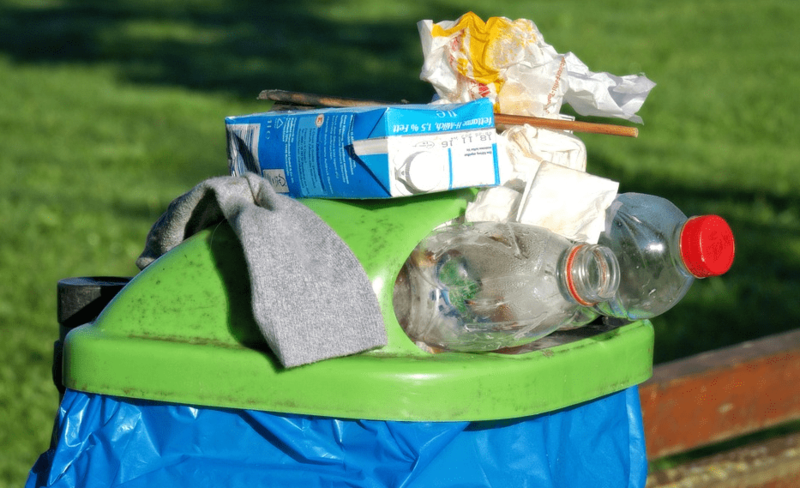 Additionally, you should prowl for trash collecting in yards or old abandoned vehicles on your mobile home lots. It doesn’t take much to lower the appeal of your mobile home park. A pile of trash here — an old washer there. And before you know it, the place is falling for the old mobile home stigma that should be a thing of the past. Do yourself a favor. If your mobile home park policy makes no mention of abandoned trash or irreparable vehicles collecting in yards, it’s time to make a change. Another idea to implement is that of having a neighborhood litter pick-up arranged. Set a day and invite the park tenants to pitch in with clean-up. Potholes are annoying and inevitable. And they certainly don’t add to the mobile home park’s appeal. See about patching up your mobile home park roads. If you have gravel roads, it’s time to bring more gravel into the park. If you’re talking paved roads, then it’ll require a little more effort on your part — regardless, you need to get that fixed. Fixing potholes will certainly increase chances of tenancy in your park. Stagnant water is not a good thing — it’s a perfect recipe for disease and mosquito problems. Why would you want to increase the mosquito population and keep a health hazard around? Curious children may find themselves getting into that stagnant water. Do your park a favor and remove the stagnant water. Your park community will be grateful for the act and your potential tenants won’t be turned away by the awful sight and smell that might arise from such neglect. If you’re not careful, your mobile home park can become quite the jungle of weeds and overgrown green. Get management on the job with weed-killer and remind your tenants to mow the lawn. 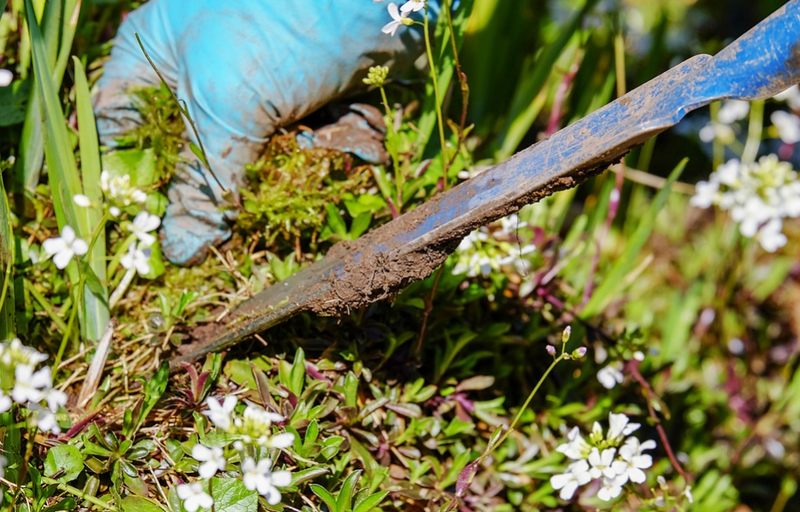 Overgrown lawns, shrubs, and weeds will be an eyesore to potential tenants. Don’t chase them away through your landscape’s neglect. For those with an aversion to using weed-killer from the home improvement store, there are do it yourself recipes that are safer for pets and children to be around. Try one and see how it works! Now for our last idea: pressure washing! Yes, pressure wash those vacant mobile homes! You’d be surprised by the amount of accumulated grime that’s built up over time. A pressure washer can be rented or purchased from your local home improvement store. Blast away the grime and give your mobile homes a brand new look. It’s a night and day difference after all that grime is gone — and best of all, you’ve just increased your mobile home’s appeal! Finally, the best of our mobile home improvement ideas is that of touring the park and vacant homes through fresh eyes. Ask yourself what you’d notice right away as a first-time visitor to your park. We wouldn’t be surprised if it’s the things you walk by without noticing day after day. With the holidays in full swing, how about sprucing up the place with some holiday cheer?